The final ballot for the 2008 Hugo Awards  the international readers' choice awards of the science-fiction field, and the genre's top honour  was unveiled this afternoon in Denver, Colorado. 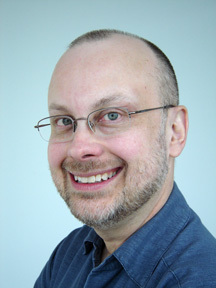 ROBERT J. SAWYER, 47, of Mississauga, Ontario  who won the best novel Hugo Award in 2003  is nominated again this year for his novel Rollback. Chabon and Scalzi are Americans, McDonald is British, Sawyer is Canadian, and Stross is Scottish. Hugos are also given in other categories, including best short story and best dramatic presentation. A full list of all nominees in all categories is here. The winners will be announced Saturday, August 9, 2008, in Denver at a gala awards ceremony concluding the 66th Annual World Science Fiction Convention. 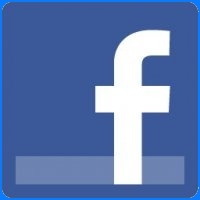 The 6,000 members worldwide of that convention will cast ballots to determine the winner. The Hugo Award is named after Hugo Gernsback (1884-1967), editor of the first science-fiction magazine, Amazing Stories, which was founded in 1926. 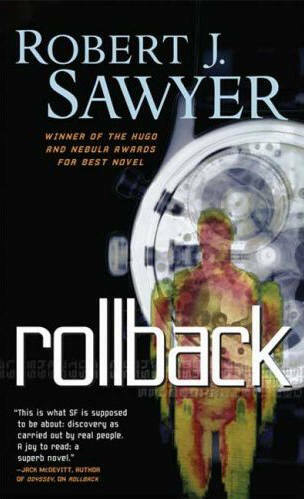 Sawyer's Rollback was previously named one of the ten best SF novels of the year by the American Library Association. The book was a main selection of Doubleday's Science Fiction Book Club. It had a full-text serialization in Analog Science Fiction and Fact, the world's highest-circulation English-language SF magazine, and will be serialized in audio form by CBC Radio One's Between the Covers later this year. The book has appeared on numerous bestsellers lists in Canada, and was the number-one bestselling book for the entire year at Toronto's Bakka-Phoenix Books, the world's oldest SF specialty bookstore. 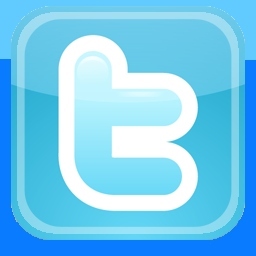 The paperback came out in February 2008. Reviews for Rollback have been glowing. Publishers Weekly, in its starred review, denoting a book of exceptional merit, predicted, "Sawyer, who has won Hugo and Nebula awards, may well win another major SF award with this superior effort." And Library Journal also gave the book a starred review, calling it "An elegantly told story; highly recommended." Meanwhile, The Globe and Mail: Canada's National Newspaper said, "Beyond the SF trappings, Rollback is a story about love and commitment, about humanity at its most basic  a novel to be savoured by science-fiction and mainstream readers alike." And Quill & Quire, the Canadian publishing trade journal, which earlier this year named Sawyer "one of the 30 most influential, innovative, and just plain powerful people in Canadian publishing," had this to say: "Rollback is a reminder of why Sawyer is one of our most highly regarded writers of speculative fiction, able to handle the demands of the heart and the cosmos with equal skill." This is Sawyer's eleventh Hugo nomination. His other award wins include a Nebula Award for Best Novel of the Year from the Science Fiction and Fantasy Writers of America (for The Terminal Experiment), an Arthur Ellis Award from the Crime Writers of Canada, and the top science fiction awards in China (which named him "most popular foreign SF author" last year), Japan, France, and Spain. Rollback is Sawyer's seventeenth novel. It tells the story of Don and Sarah Halifax, an elderly couple in Toronto who are offered a chance to be rejuvenated, restoring their youth. But although the process succeeds for Don, it fails for Sarah; the novel deals with the impact this has on their marriage. Sawyer is available for interviews. A full press kit is here. Tor Books are distributed in Canada by H.B. Fenn and Company. Rob won the 2003 Hugo!